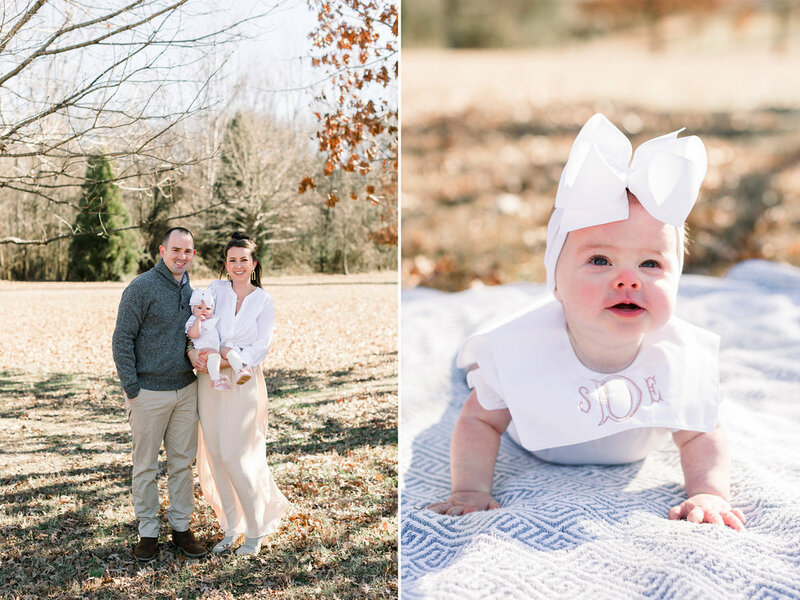 I loved Jennifer’s idea to split their family session into two locations, so we could get some outdoor scenery at Whittier Mill, and photograph little Sloane in her natural habitat at home. The light pinks and golds in her nursery were what baby Pinterest board dreams are made of, and the SUN actually came out (whoa there Georgia, what’s this??) for their photos at the park! So happy to meet this family and document their precious baby girl turning six months old!